In Japan. we celebrate for boys healthy and happiness and hope his success in the future. Width at the hamachi : 3.34 cm or 1.31 inches. Width at the Kissaki : 2.42 cm or 0.95 inches. Weight of only blade: around 845 grams. Weight of blade and Tsuka and Tsuba (without Saya): around 1170grams. Era : Syowa 57. period.1982 May 5th. 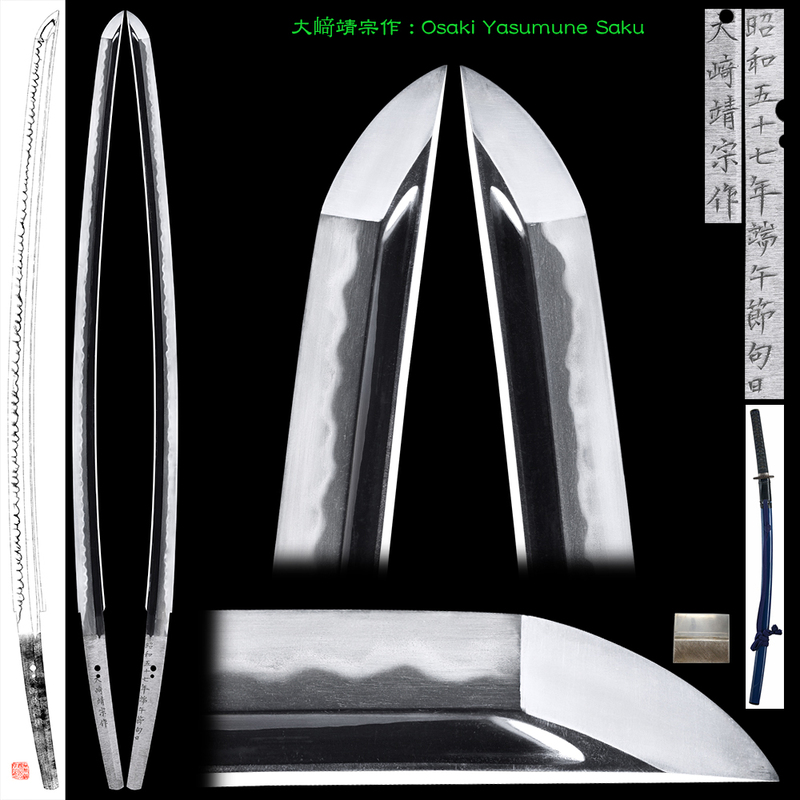 Shape : The blade is wide and thick with suitable sori nice looking shape. Hamon : Niedeki gunome midair with long ash. Special feature : Many swords was made in Yasukuni shrine between the war time from the pre-war. The select of the sword smith was mainly made these swords for army officers. And select only the good works of the sword. Yasumune was born in Yamagata prefecture. His real name is Osaki Sigeharu. He studied under Yaguwa Yasutake. 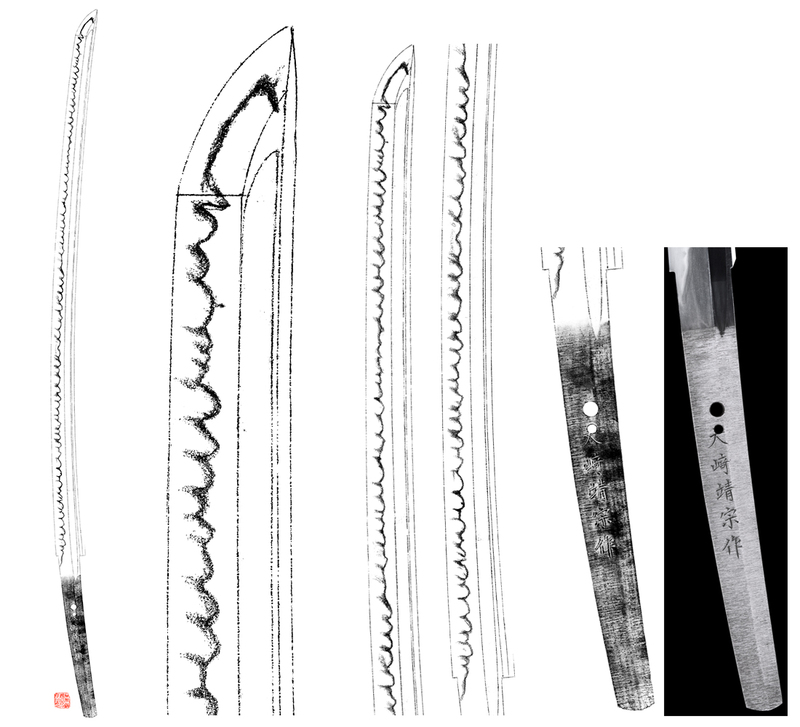 This blade has Gunome Midare Hamon and many Ashi. This blade looks like Seiryuken Moritoshi. The Falkland Islands　which was the territory of England but after that England have got a territory back. Saya : blue color saya.